Last week, (before the snow arrived!) 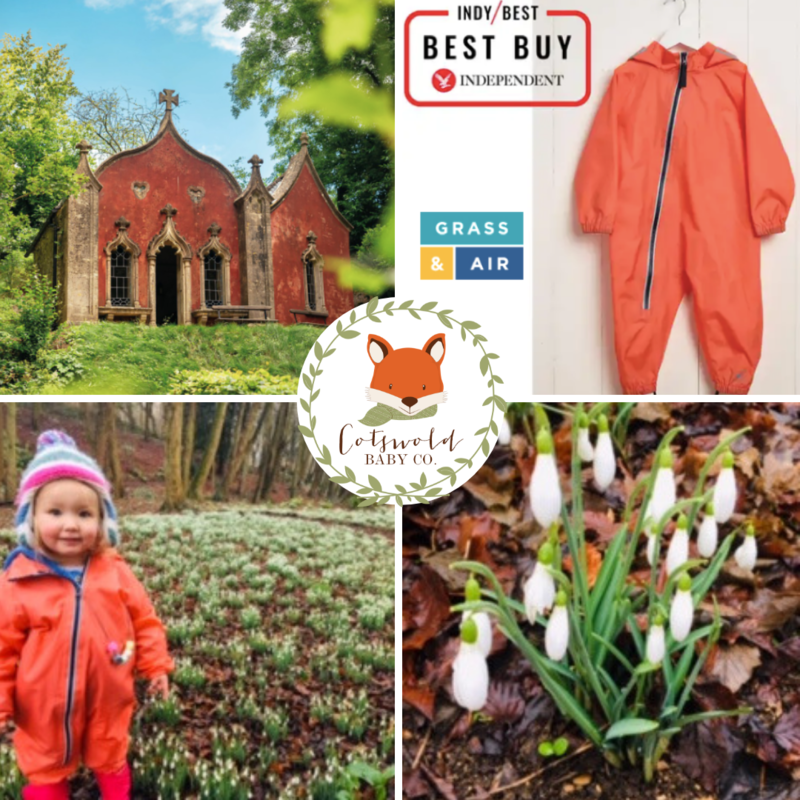 we wrapped up warm to take our friends to visit a famous Cotswold site, the Rococo Garden in Painswick, and were so pleased that the relatively mild winter weather meant that the famous snowdrops were blooming already. ‘Snowdrop Grove’ really is a carpet of crisp white flowers all around the little thatched den, which our little cub Flo loved running in and out of, and signalling that Spring is on its way. One of the Cotswolds’ must-see attractions, there are over five million snowdrops in these gorgeous gardens, which was a wonderful bucket-list sight. 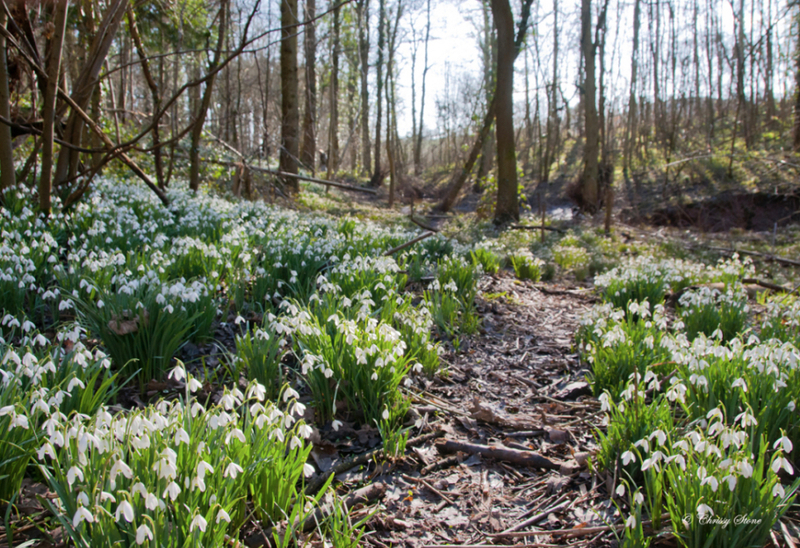 Green-fingered fans will enjoy the daily snowdrop talk by an expert gardener every day at 2.30pm in February (the best time to visit), where you can hear about the history of both the garden and the flower. There are plenty of other attractions at the Garden too; Florence loved the swings and seesaw in the play area and chasing Daddy around the maze. We all loved exploring the ‘little castles’ dotted around the gardens, including the Red House and the Eagle House, where you can even get married! 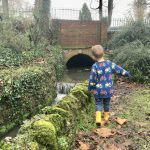 We waddled after the ducks in the pond and dipped our fingers in the very chilly plunge pool, with Flo still snug as a bug in her bright coral-coloured stomper suit, by Grass & Air. 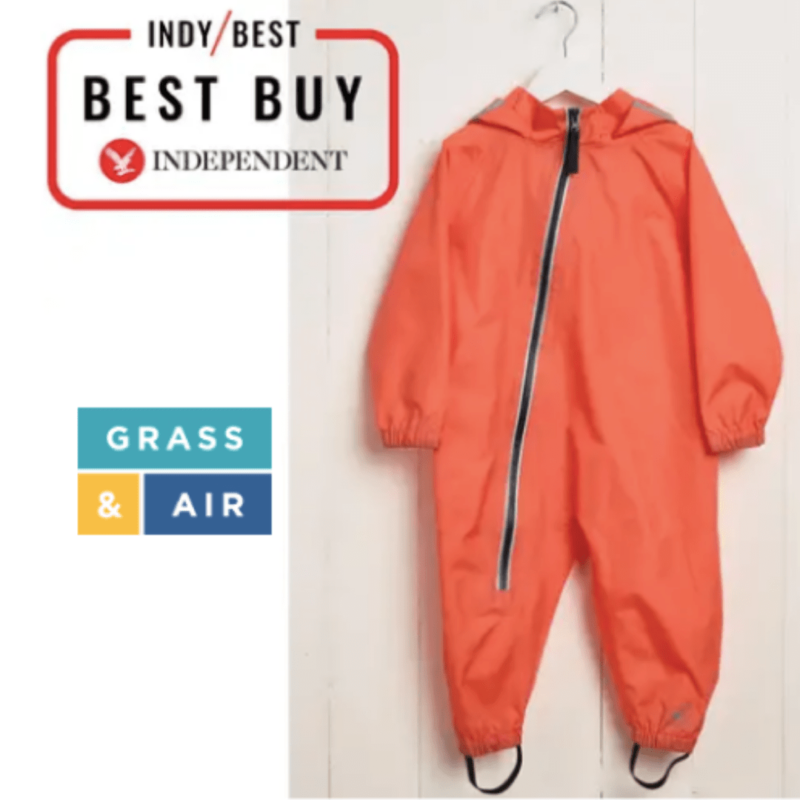 The tough and durable waterproof fabric makes it a perfect splash suit for little explorers, which also comes in navy. It’s really easy to put on and zip up, with the elasticated straps keeping the legs firmly in place under a pair of wellies, and the best bit is it keeps your little cub mud-free, so the washing pile stays under control! Plus, we always get admiring comments about how cool it is when we are out and about! We love that it matches our colour-changing wellies and umbrella too. No wonder it was voted ‘Best Buy’ by the Independent in their ’10 best puddle suits’ article! After a couple of hours blowing away the cobwebs, we settled into the café for a frothy hot chocolate & yummy carrot cake, and a local beer for Daddy. The menu looks very tasty, and there is plenty of space for highchairs, and we look forward to sampling it when we can sit outside in the sunshine when we return in May for the famous bluebell display! For more information about planning your visit to the beautiful Rococo Gardens in the Cotswolds, click here. 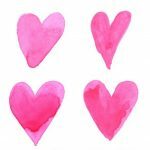 Next Post I love Kids Clothes!